« Kiss Date Love Hate is out now! The audiobook of Kiss Date Love Hate is coming out at the same time as the paperback and Kindle version. It’s published by W H Howes and is available there and at Whole Story Audio, among other places. It’s also available as a download at Audible in the UK and Audible in the USA. Find out more in the W H Howes catalogue, and listen to an extract below or at Audible. The narrator is actress and voice artist Harriet Carmichael, who was in Mamma Mia, among other films and stage productions. Read more in her bio. 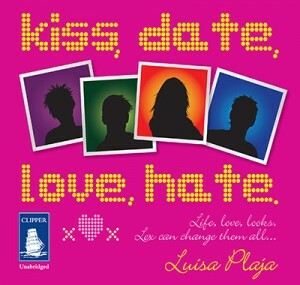 She also has a blog, and she has posted mentioning Kiss Date Love Hate.